Vu TV is the decade-old desi brand, which could be one of strong claimants for the best budget LED TVs in India. Vu pronounce as view, is the Indian brand which is grabbing the bull by its horns—taking on the TV giants like Samsung, Sony or LG, for that matter. 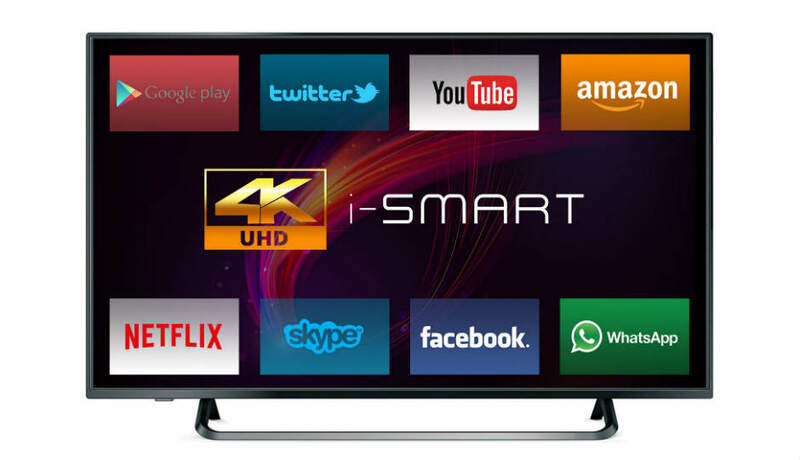 It has been a disruptive brand which is changing the dynamics of the fast-growing Smart TV segment, with its innovation and sales, especially in the e-commerce space, where Indian buyers were traditionally hesitant to buy big appliances. All this is happening because Vu is providing this at the reasonable price (nearly half to the aforementioned premium brands) and giving good after sales support. Many of you might be aware that the 4K is the next big thing like HD was, all this time along in broadcasting. Like its name suggests, it is 4 times sharper than the Full HD TVs. Vu offers stunning 4K TV in its Iconic and Premium HD range alongside few curved TVs as well. With 4K, pictures would look mesmerizingly stunning and life-like with a minute details visible thanks to its high resolution. Complimented with its WCG (Wide Color Gamut) technology Vu TVs brings colors to lifelike color so that users can see color as naturally intended. This technology also helps in reproducing the color so that it matches with nature’s true palette when compare to standard LED TV’s, thus enabling users to enjoy videos and picture in their very true color. Next to 4K another buzzword in TV technology which Vu TVs are focussing on, is HDR. So, what is HDR and its importance? HDR is High Dynamic Range which significantly expands the range of two important factors—contrast ratio and color accuracy Thus, bright parts of the image get much brighter, so it seems image possesses more depth. Color range expands to show brighter blues, greens, reds and everything in between. Thus HDR-compatible movies push TVs to their limit, with brighter highlights and perfect blacks. 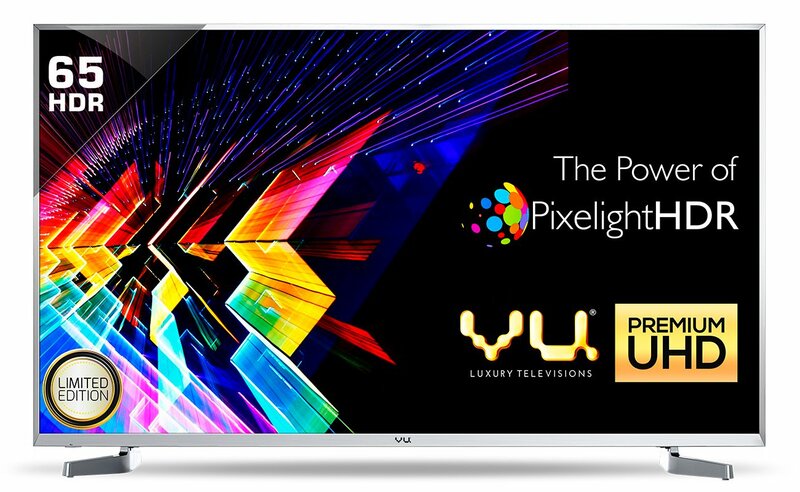 Vu is offering its own proprietary PixelightHDR technology in its latest 4K TVs. What PixelightHDR does is, it enhances brightness range so that the brightest and darkest parts of the picture are distinctively visible. Besides the improvements on dynamic contrast, PixelightHDR also manages to enhance the picture detailing to provide users with high quality pictures. Vu TVs uses dbx-TV which are product of renown American brand Harman Kardon to provide users with high quality audio effect to compliment amazing 4K viewing experience. It provides quite a few useful audio improvements in the form of volume control, equalization, range control and custom calibration. Total Volume: This technology is the boon for those users who gets irked by constant variation in loudness caused due to loud commercials, switching channels, etc which sometimes caused sudden unwanted spikes, ruining the listening experience. This technology removes the constant need for remote to mute loud commercials or lower the volume, by taming those sudden spikes. Total Sonics: Total Sonics is custom-tailored for Vu Premium TVs so that they can provide sophisticated sound, dynamic equalization to extend bass response, overload protection to trim down the distortion and various types of filters to widen the stereo output. All this is made possible keeping the speaker size small so TVs appear slim and premium. Total Surround: Total Surround delivers immersive surround sound which wonderfully compliments 3D TV offering from Vu. To achieve this, it employs its unique psychoacoustic processors that amplifies the aural cues that makes the sound to appear behind, beside and above the viewer. It can intelligently discern and classify rudimentary portions of TV audio like tone, dialog, special effects, spatial cues and background sound. It then efficiently controls each of these elements, so that dull TV sound gets transformed into vibrant all-around sound to give immersive experience. Vu is one of the rare brands offering curved TVs. So, you are wondering how curved TVs are different from flat TVs? When you look at the day-to-day real world, you don’t simply perceive it as a flat screen. By curving the edges of pictures, curved TVs try to imitate this very sense thus making picture viewing experience like 3D. Moreover, due to its curved structure they provide sharper pictures with richer contrast. But then there are downsides too; due to its geometry viewing from extreme side would make picture look narrower on the far side. Also, curved TVs are much more susceptible to incident light; meaning if you have a bright source right behind the TV it would hamper your viewing experience due to reflections. Most Vu SMART TVs come with in built Opera OS, and only a handful come with Android OS. Opera OS is a product of Opera, a Norwegian company which competes with Mozilla in the browser space. Opera OS has its own App store but the apps are limited. With version 2.0, Opera OS is trying to compete with the leaders: LG’s WebOS, Android, Samsung’s Smart Hub, but it still has a long way to go. But for regular YouTube and Netflix viewing, Opera OS still works out great. One of the main qualities of Vu TVs are is value-for-money attribute. Nearly at the half the price of other premium Korean brands like Samsung or LG they provide nearly the same features. Also, they one of the rare TV manufacturers using A+ grade panel for its LEDs. It provides good amount of ports like HDMI, ethernet, USB to connect other devices to it. It also offers USB 3.0 in its high-range devices which again is quite appreciable. But on the downside, neither the build quality is as premium as Sony or Samsung, nor the picture quality is as strikingly beautiful as OLED TVs from LG or Panasonic. Also, the quality of remote is flimsy and durability of this brand is a matter of concern. Even the user interface isn’t as fast as blitz, despite of hosting quad core processor. Motion blur and judder are present when a fast-action movie is played. Vu is arguably the fastest growing TV brand in India, which is expected to double its revenues in just a span of one year; this itself speaks volumes of its popularity. Vu, is one of the brand which dared to break the unspoken rule of Indian retail—big appliances won’t find much buyers on e-commerce. Thanks to its exclusive tie-up with Flipkart, Vu TVs are becoming hot cake especially when discount and flash sales are on. Beyond the virtual space, it also has outlets in many cities in India like Mumbai, Pune, Puducherry, Indore etc. So considering all this, barring a few misses in the build and picture quality, it still could be your go-to brand if your budget is limited but aspirations aren’t!